Very portable. Fold and slide it into a bag. Also used for display. Stands 19-1/4" high, weighs just 8 ounces. Also model with 18" steel extension bar and clamps to hold canvases up to 32" high. 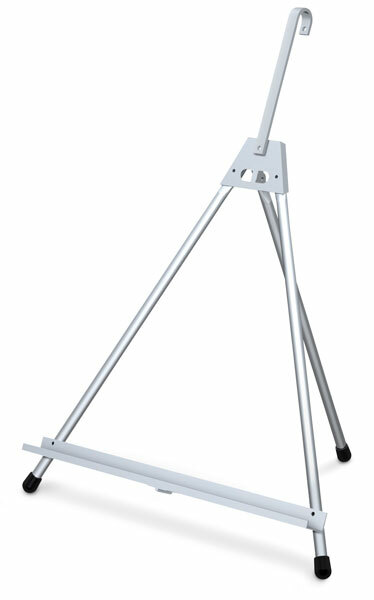 This easel is simlar to the base model, but it includes an extension bar for taller materials. It stands 25" tall and weighs 10 oz.